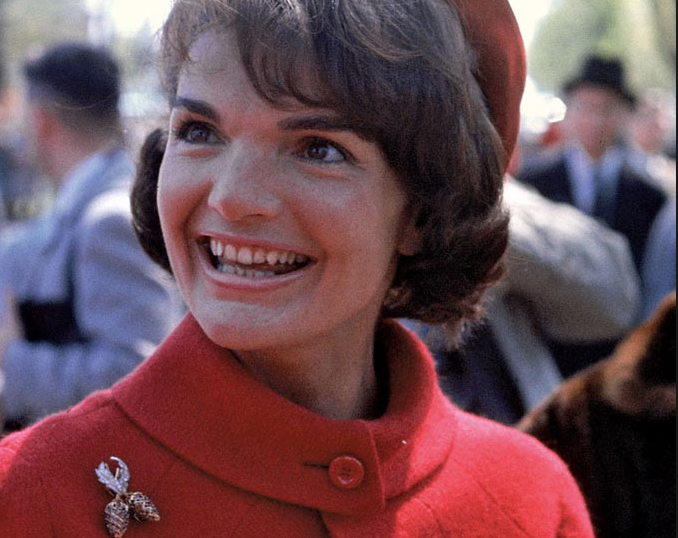 Jacqueline Kennedy wore her jewelry with the grace, elegance and dignity that made her America's most loved first lady and a shining icon the world over. 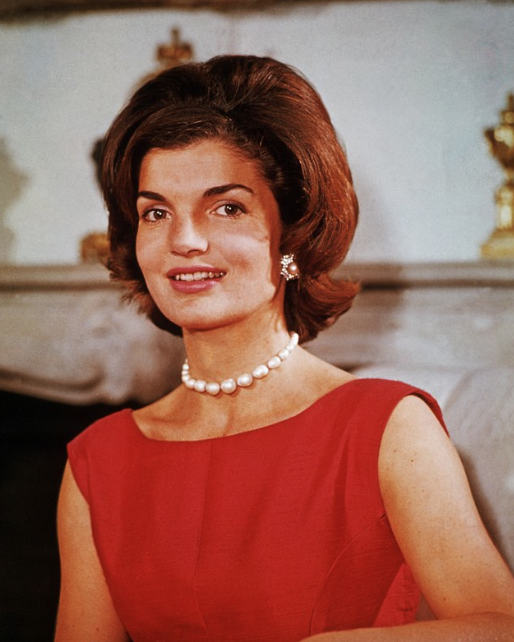 Here you will find many replicas of the pieces of jewellery Jackie was given by John F Kennedy, Aristotle Onassis, family heirlooms and items she bought for herself, along with many others. 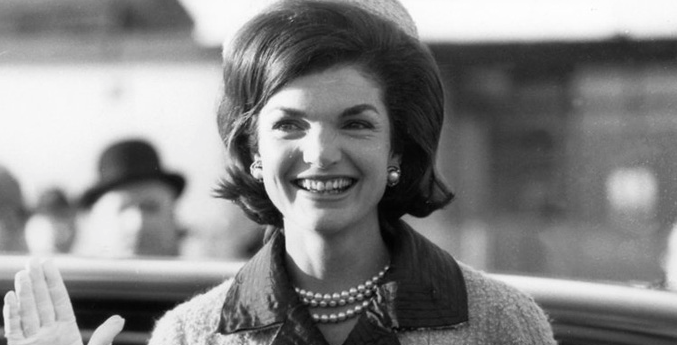 All items are approved through the Kennedy Library Foundation, this collection features perfect reproductions of Jackie’s stunning jewelry. 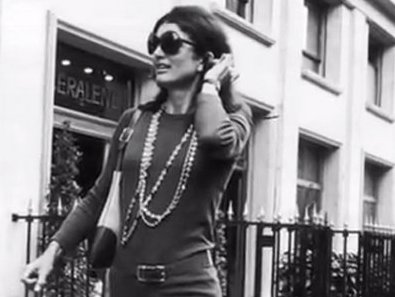 The finest reproduction of the legendary faux-pearl necklace. Hand knotted silken cords carry 158 ivory cream-colored Czechoslovakian glass hand-painted pearls. The platinum-plated art deco clasp, with 14 SWAROVSKI ELEMENTS, speaks of the elegance of the past. 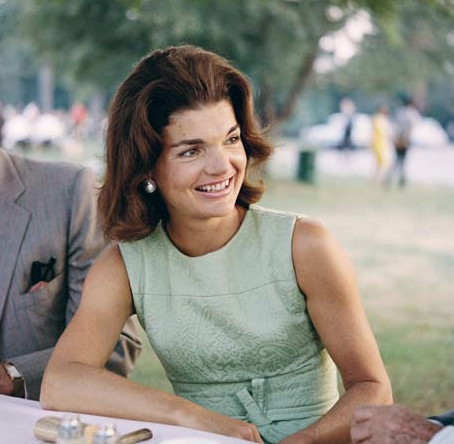 Here Jackie turns to face the world during JFK’s administration. 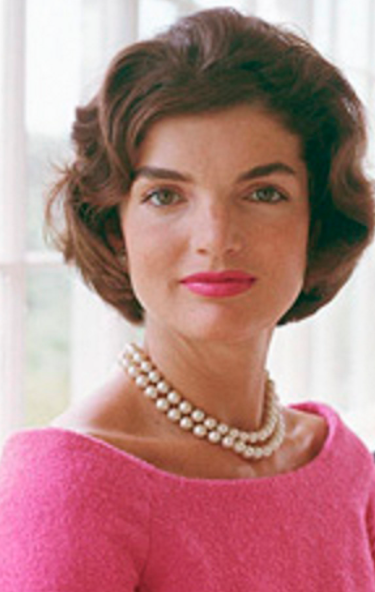 Jackie, who treasured her privacy and was apprehensive about life in the public eye, chose the Triple-strand pearls to help step with confidence onto the public stage. 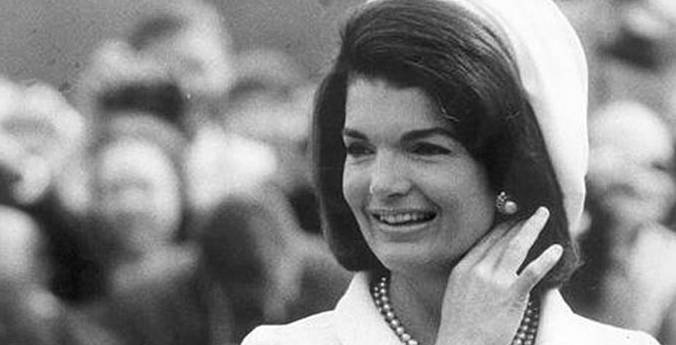 Jackie found the romance of emeralds irresistible. 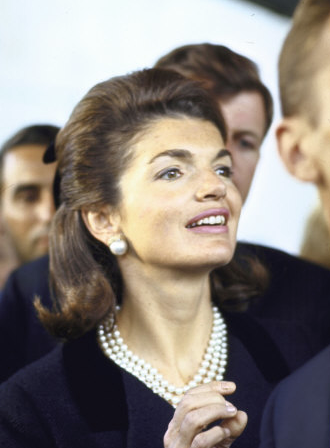 After wearing the necklace and the matching earrings to the inaugural gala, she had a matching bracelet made (all available instore) emerald-colored SWAROVSKI elements prong-set in a delicately patterned chain plated in 18k gold. 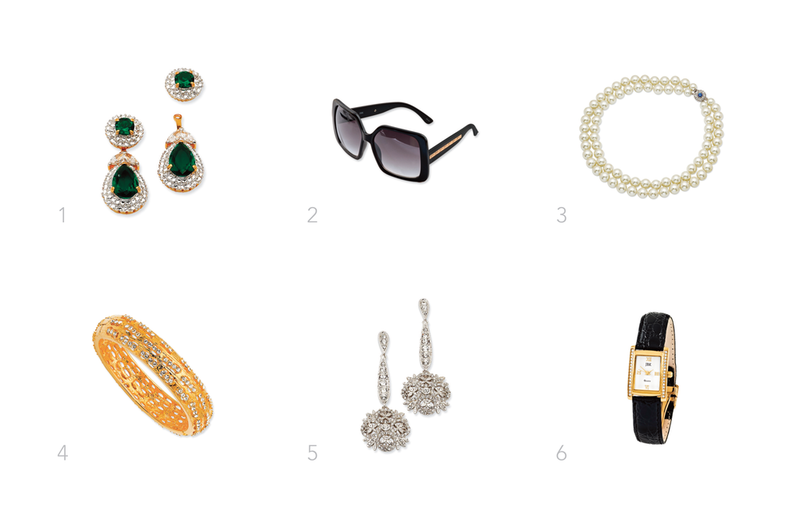 The earrings are simply stunning and go from formal to informal with a removable pendant! They also feature four unique marquise cut CZs. 1 1/4 inch high with pendant. 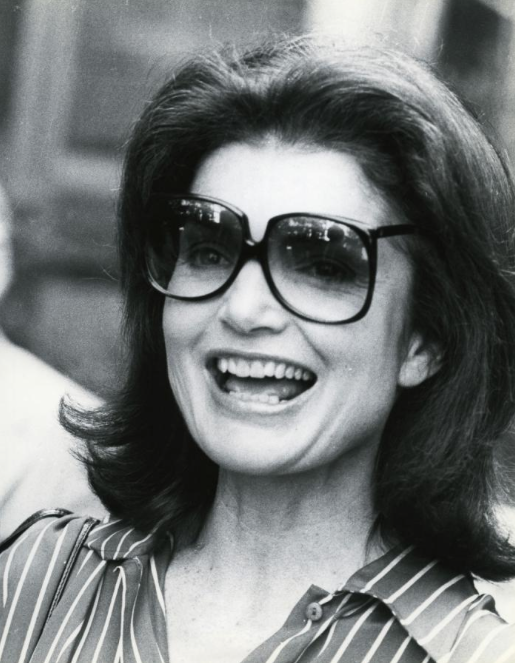 Above left, Jackie attends a performance of selected opera arias at the Kennedy Center for the the Arts.